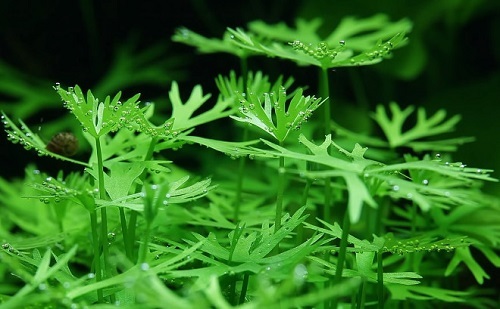 Foreground aquarium plants directly influence the impression of an aquascape. 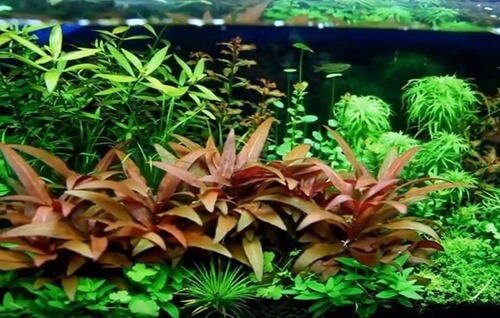 So the selection and planting of foreground aquatic plants are very important to build a beautiful planted aquarium. 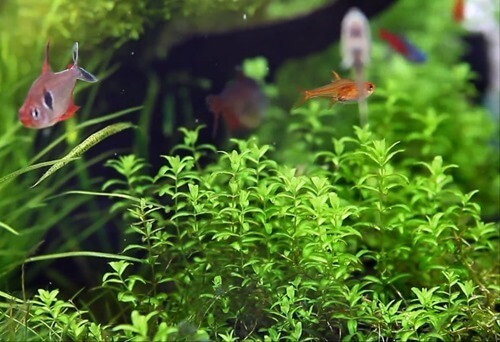 All carpet plants are ideal for the foreground. 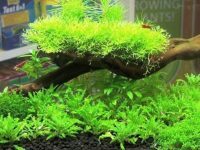 If you are finding plants to build a beautiful carpet, check the list of over fifteen carpet plants for planted aquariums. 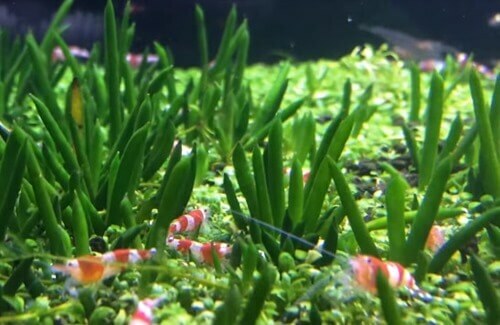 This article mentions only a few carpet plants and other short plants which are rarely used to form a carpet. 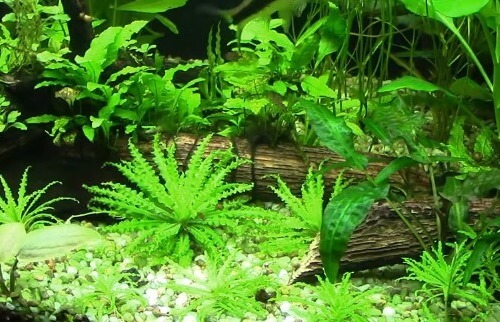 How to select aquarium plants for the foreground? How to plant the foreground? 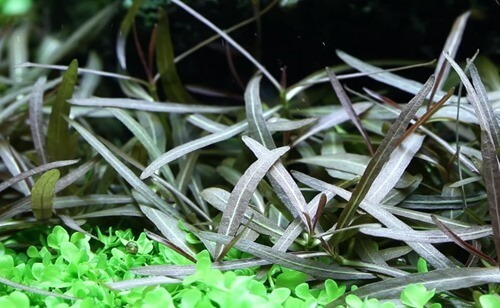 There are various types of aquarium plants, but not many of them are suitable for the foreground. You need to know which plants can be used as foreground plants and learn their characteristics. 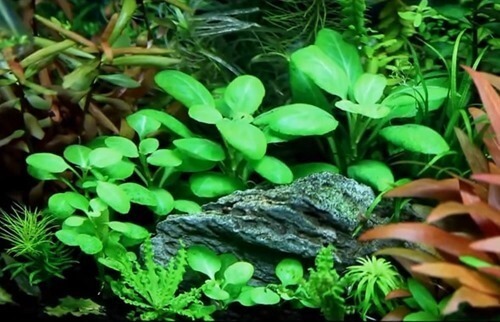 The foreground plants support the attractive appearance of the bottom layer of the aquarium. 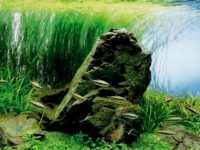 They must be planted and maintained neatly, or the entire aquascape would look untidy. One of the factors to be considered in the selection of foreground plants is the plant height. This is because the plant height will determine how much composition materials such as driftwood and stone will be hidden behind the plants. Short plants are usually chosen as foreground plants to not hide the details of stone and driftwood arrangement. 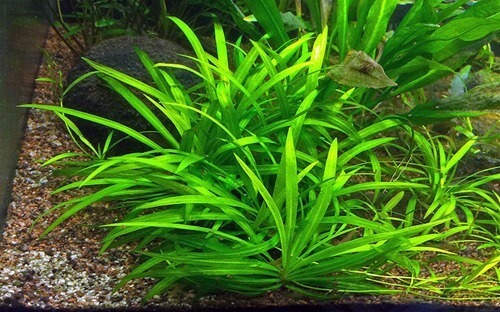 On the other hand, tall plants are usually selected as background plants which are placed in backward of the aquascape. The tall plants are also used to conceal the details of composition material. An additional factor for the selection of plants is the image produced by each plant. 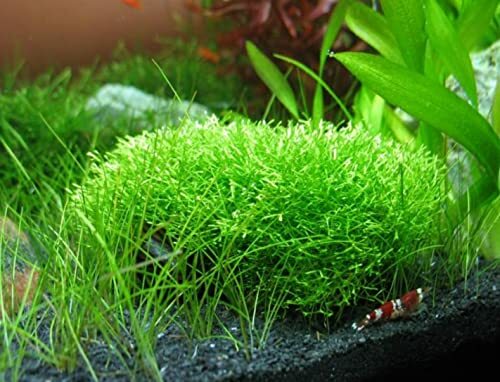 Hair grass (Eleochalis acicularis) produces an image of a field of soft grasses while Glossostigma planted as a single species adds a neat and orderly touch to the aquascape. Lovely foreground plant and definitely the only species with umbrella-like leaves suitable to grow submerged. If illuminated brightly, numerous lid-like leaves are produced in several layers. It will grow to about one and half inches in height but will be taller and stringy under poor light. It is slow growing and very easy to control. 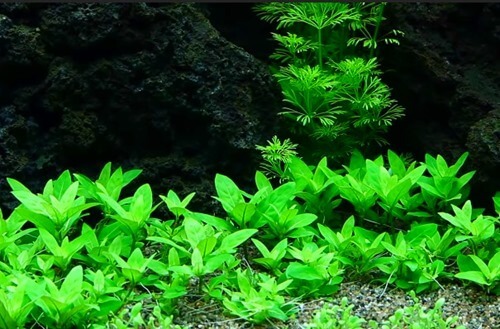 Do not keep in aquariums with vigorous fish as the shoots do not root very deeply in the substrate. Downoi (Pogostemon helferi) is a very suitable foreground plant. By virtue of its crinkled leaves, it forms a lovely contrast to other foreground species. 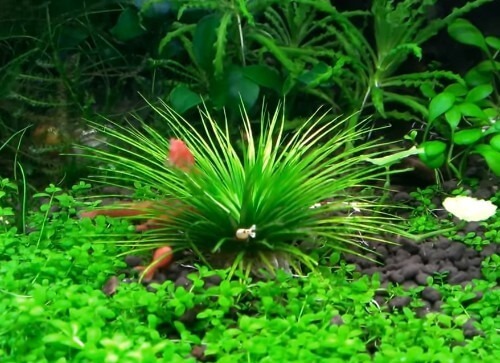 Planted aquariums are inconceivable without Pogostemon helferi. It is a fast growing plant that spreads easily by forming offshoots that can be planted to become independent plants. It is sometimes planted 1.2 – 2 inches apart to form a thick carpet. 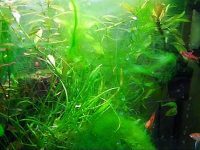 Pogostemon helferi is attractive to some plant eating fish so choose your fish carefully if you want this plant to flourish. Riccia is a floating liverwort but it can be submerged to make an attractive foreground plant. It looks like a bush composed of elongated green strips. Each branch gets longer and then separates into several smaller branches. Like other aquatic mosses, this moss can be wrapped around stones or driftwood with fishing line to make it submerged and fixed in place. If weighed down, it can be made to grow as cushions on the substrate, giving a beautiful effect. 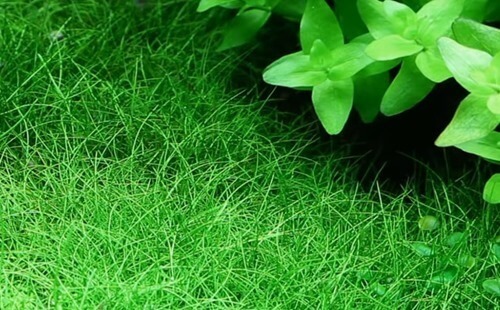 It is a useful plants for breeding tank because it provides splendid shelter for baby fish. 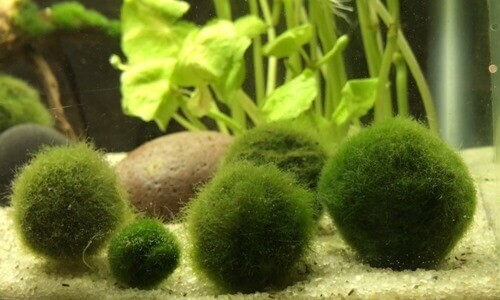 These cute moss balls are not really a plant, they are clusters of filamentous green algae that is naturally found in many lakes in Japan, Russia, Iceland, United Kingdom, and Northern Europe. The water currents in the lakes keep them continuously move, and thus forming the ball shape. So, they need to be turned regularly to keep the spherical shape when kept in aquarium environments. Banana plant is a unique-looking plant with its attractive banana shaped tubers, which make beautiful accents for the foreground. Unlike other Nymphaeas, this plant does not have the tendency form floating leaves. 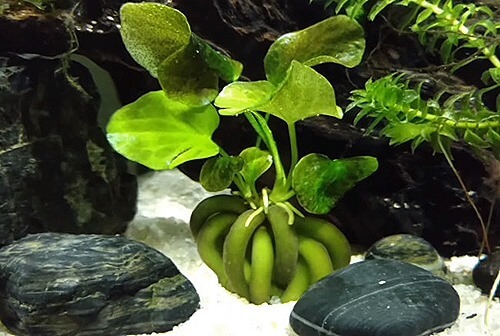 The “bananas” should not be planted into the substrate. Weight down the plant until it has formed some roots. Brightly illumination is required for the healthy growth. This is a very architectural plant which produces a dense rosette of narrow, bright green leaves. 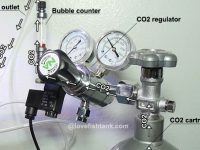 It is a slow grower, even under suitable conditions such as bright lights and soft water, making it an ideal choice for nano tanks and the foreground of most planted aquariums. You should trim away any flower stalks and dead leaves prior to planting. Cut the roots to a length of about 1 inch and then plant carefully by pulling the roots into the gravel with fine tweezers. Micro Sword is an easy to keep, grassy foreground plant. This plant is very slow growing and the initial density of planting has a significant impact on its subsequent appearance. 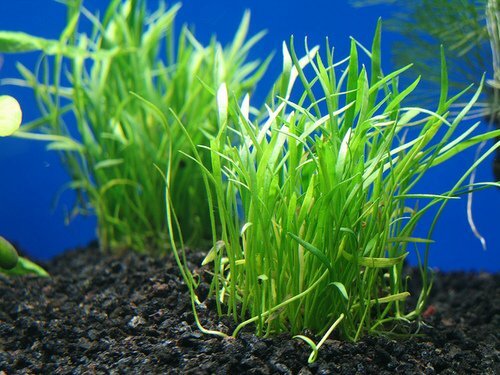 It is usually used to create a green grass-like carpet in planted aquariums. 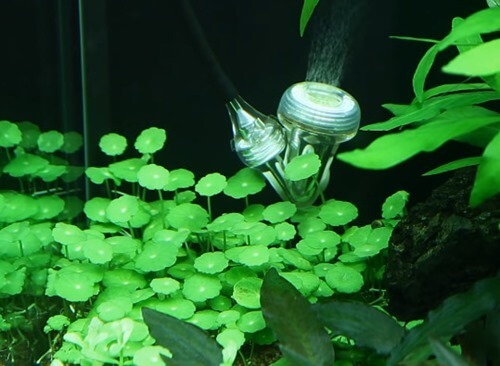 Micro Sword also lives well in brackish aquariums with low salt concentrations and garden ponds. Slow growing plant which should not be kept too warm. Too nutrient-rich water should also be avoided. 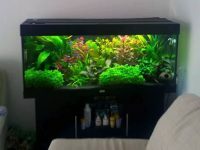 Due to its spiky habit, it is a very interesting accent for nano aquariums. Once settled in, it will eventually produce thin runners with adventitious plantlets. 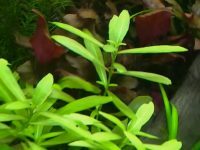 Depending on the size of your planted tank, this plant can be a great addition to the mid- to foreground. 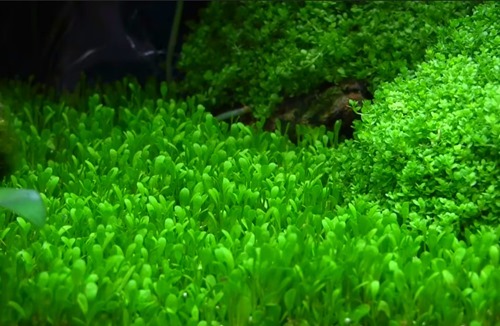 Pearlweed is sometimes used for carpeting the foreground of large planted aquariums above 55 gallons. Having several compact bushes of Pearlweed in the midground is very beautiful and attractive, too. It has a good tolerance to trimming and the shape of its clump can be arranged easily by trimming. As a part of preparation, foreground plants are divided into small bunches that are easy to hold with tweezers and then placed on a tray. Plants like Glossostigma must be as short as about 3 cm. It is advisable to align the base position of these bunches to facilitate the planting work. If you cannot use plenty of plants due to budget constraints, it is recommended to start planting from the sides of the composition materials towards the front of the aquarium. It is also important to fill the planting area evenly with plants. Foreground plants are small and difficult to plant. The key to easy planting of such plants is pre­-planting preparation and adjusting the water level during the planting process. 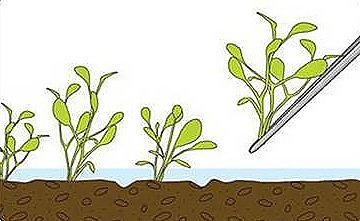 The number of plants to be planted initially should be determined by taking the plant’s growth rate into consideration. Planting work will be easier if the water is poured to a level where the substrate is barely covered with water. Long tweezers with pointed tips are ideal tools for the planting of foreground plants. Fast-growing plants should be planted with wider intervals while slow-growing plants should be densely planted with smaller intervals. The initial dense planting is vital for plants such as Hemianthus callitrichoides “Cuba” and Lilaeopsis brasiliensis. Ensuring a good balance with background plants is also important. If fast-growing stem plants are the main plant of the layout, the foreground should be more densely planted. 1. Fast-growing foreground plants such as Glossostigma will cover the entire space very fast even with wider intervals. 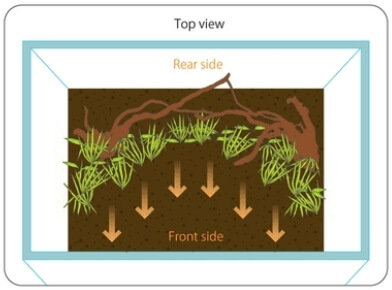 Planting density should be adjusted according to the growth rate at each location of the layout. 2. Slow-growing foreground plants such as Lilaeopsis brasiliensis should be planted as densely as possible from the beginning as it takes time for them to cover the substrate. 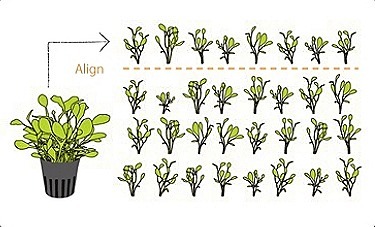 Achieving a dense planting of foreground plants at the early stage can prevent algal growth.